There are plenty of different kinds of lab errors that can cause all kinds of damage to patient health and well-being. Here’s what you need to know. In the world of medicine, people generally think of doctors, nurses, or other points of contact when they think of their care, treatment, and diagnosis. However, lab professionals also play a role in your healthcare and should be considered in any malpractice matter as they could potentially be just as liable as any medical professional. There are plenty of different kinds of laboratory errors that can cause all kinds of damage to patient health and well-being. Here’s what you need to know. It may seem like a small form of human error, but mistakes like this can result in huge problems, including incorrect test results and misdiagnosis. Any harm as a result of this sort of error is important to look for. Sterilization failures sound a lot more negligent than, for example, a simple mislabeling, but they can result in a lot of the same problems. This type of medical error can result in completely incorrect test results and in turn lead to failures to care for a patient, among other damages. Giving the wrong blood type can result in completely incorrect transfusions. This sort of mistake can have large-scale implications on a patient’s treatment and even their life. Something like a blood test may seem like a simple operation for a lab tech, but as with all aspects of healthcare, patient health and well-being is on the line. 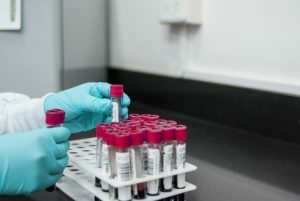 Again, clerical errors fall under the umbrella of human error, though this type of error can result in incorrect test results, medication errors, miscommunications between the lab, doctor, and patient, and the mistreatment of patients. Testing samples are not always as simple as a short visit to the doctor. Lab professionals are entrusted with samples for testing and ultimately use that information to help provide care for a patient. Losing or misplacing samples can cause all sorts of issues for a healthcare team, as well as for the patient. This entry was posted on Thursday, September 20th, 2018 at 10:34 am. Both comments and pings are currently closed.